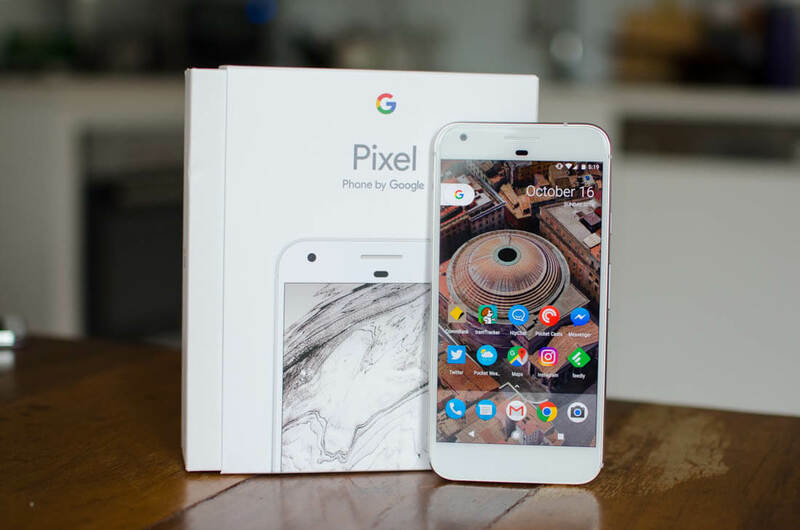 Google only released its Pixel handsets in October last year, but, as is always the case with smartphones these days, rumors about its successor are already arriving. According to 9to5Google’s sources, the Pixel 2 will come with improved hardware and waterproofing, while the company is also said to be releasing a budget handset alongside its flagship device. As with the current Pixels, the Pixel 2 will reportedly sport one of the best cameras you’ll find in a high-end smartphone. Sources say that Google wants it to have excellent low-light photography capabilities, and while the MP size won’t be large, the phone will “compensate in extra features,” which could include more shooting modes. Many upcoming handsets are said to be waterproof or water-resistant, and it seems that the next Pixel will follow this trend. While the feature’s inclusion is said to have moved from “definitely” to “on the table,” it would be big surprise if Google didn’t make the Pixel 2 shower-friendly, much like Samsung’s Galaxy S7 series. The handsets’ chipset is still an unknown element. In all likelihood, the Pixel 2 will feature the latest Snapdragon processor, possibly the 835, but sources claims that some prototype models are being tested that use Intel chips. These upgrades don’t come cheap; the new phones are expected to be “at least” $50 more expensive than the current Pixels. But fans on a budget may have another option: a third device could be released alongside or just after the Pixel 2 and Pixel XL 2 that has a much lower price-point. This “significantly cheaper” phone, referred to as the Pixel 2B, will have less powerful hardware and fewer features than its more expensive counterparts, and be primarily aimed at emerging markets. We’re unlikely to see the next Pixels until the fourth quarter of this year, so expect plenty of new rumors before then. Really, though, Google should just make sure that the Pixel 2 is problem-free, unlike many of the current Pixel handsets. $50 isn't a deal breaker for most consumers of high end smartphones. I would really love a Moto G contestant coming straight from Google, that would be a nice refresh. I think Google could do better. The Pixels don't seem to be aiming for lowest price, or highest specs. It's like they want some of the profit but aren't worried about being competitive. I got a OnePlus 3T for my wife and she couldn't be happier with it. Looking to buy one for myself soon. Good price, higher specs. "Sources say that Google wants it to have excellent low-light photography capabilities". So in other words Google can't fix their current lens flare problems so they don't want users taking snaps during good, natural light and that's why they're upping the ante in low light situations. A cheap, yet effective fix if you ask me. Why can't all manufacturers be so forward thinking? Makson and BSim500 like this. A great phone but the Pixel was already too expensive considering lack of MicroSD so I needed 128GB, thats why I went for the OnePlus 3T, cheaper for basically the same phone. I want to see a removable battery. If I am going to get a Pixel 2, that means I need to give my first generation to somebody. And to give somebody something, with the battery already half gone, is something I will not do. So, as to prevent this from happening next time around. I want a see a removable battery. Then I will buy the next generation, and a battery for my current generation, as to refurbish it. I would accept 'vaporware' to be used for all 'phones which become redundant after a few months, a new one is released and the 'torn jeans' sheeple queue overnight to buy a new release 'phone of which if it was a car only the tyres are updated. agreed, or the one the smart people would have waited for! Better hardware and high end camera? Never seen that before. Also a budget version availible that looks like a flagship but is smaller and shittier? Never seen that before too.